Hans-Peter (aka 'HP') grew up in a scouting family, north of the border in NSW. At school, he earned a gold-level Duke of Edinburgh Award. After leaving school, HP did a traineeship in outdoor recreation, where he learned to climb. Over the next six years he worked and furthered his studies in the outdoor industry; working as a group leader, climbing instructor and a trainer and assessor. At some point, he met and married his equal. Together, they took off on a two-year honeymoon in Europe, where HP learned how to climb mountains (in the European Alps!) and kick ice. It was during winters in London that he fell into retail, working for a leading outdoor retailer in the UK. In 2011, HP joined Bogong. Five years later, he took a brief hiatus to work as a rope access technician, gaining practical experience in the rope access industry before returning to our hallowed halls. He is back in-store as part of the management team, personally overseeing the expansion of the industrial rope access side of the business too. Watch HP explain DMM iD technology. 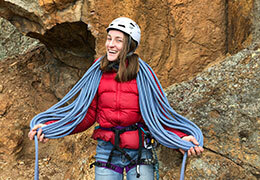 Read HP's article on kids' climbing harnesses. Dave's interest in the outdoors was sparked by his dad, who took the family camping, bushwalking, rockclimbing and skiing throughout childhood. His first overnight bushwalk was down to Sealers Cove at the Prom. Dave completed an engineering degree, but has given that away for the time being to become the Bogong webstore aficionado. 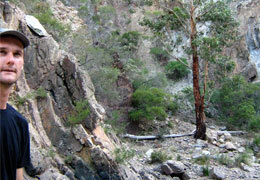 Bushwalking and cycle touring are Dave's key areas of interest. He cites his most memorable trip as Ho Chi Minh City – Hanoi (Vietnam) by bike, after which he ditched the bike continued overland to Latvia, by train, bus and foot! See Dave cycle touring in Indonesia here. Dave on an epic trip in the Western Arthurs in winter. At age 14, James first set foot on rock in his hometown, Canberra. At 15, he led his first climb, up the granite slabs of Gibraltar Peak. Amongst his climbing friends James is known as “Bogong James” and little wonder considering our longest-serving staffer first stepped in the door here at 374 Little Bourke Street in 2001. James’ encyclopedic knowledge of all things climbing, plus his self-confessed leanings towards “gear nerdism” and a love of “tech-talk”, make him our most revered gear-go-to man. But, he's not your average punter. James is approaching roughly 1000 days of climbing on real rock and has climbed in 16 countries. In 2007, James embarked on a two-year world climbing trip, which included living in Sheffield and working at Outside – a gear store in Hathersage known for its expertise in climbing and mountaineering. During his travels, James' most memorable route was Levitation 29 (5.11b/c) at Red Rocks, Nevada – two-hour walk-in and walk-out and 10 pitches, all of which he onsighted. 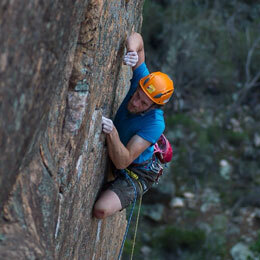 His favourite crag is his beloved Grampians, where he loves to climb with his wife and two kids. See James' 5 favourite climbing areas here. See James present the La Sportiva Otaki. 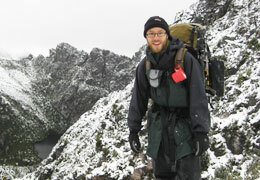 Stephen joined Bogong in 2004. A keen trail runner and road runner, his accomplishments include completing the Melbourne Marathon in under three hours, successfully completing the Bogong to Hotham ultramarathon, as well as having run over all the tallest mountains in Victoria numerous times. Stephen has also spent a lot of time winter climbing in Scotland – widely regarded as amongst the most challenging ice climbing in Europe. He has also climbed in Spain, Sardinia, UK and Australia, and has completed a solo ascent of Mt Aspiring in New Zealand. These days Stephen enjoys getting away camping with his wife, Sam, and young son, Callum. 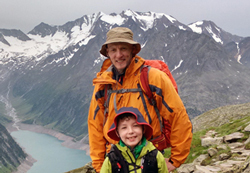 One such family trip involved three weeks of hut-to-hut walking through the Austrian Alps. Check out Stephen walking in the Zillertal Alps here. Read Stephen's article on trail running hydration. Sal was born in Singapore but grew up in Western Australia. He completed a degree in biotechnology after which he found work in a lab for a while before deciding to run his own photography business. He then worked for Paddy Pallin in Perth, eventually becoming a manager. Sal is a self-confessed gear junky. 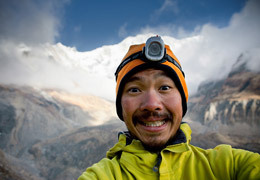 His primary interest is in climbing and has climbed in New Zealand, Thailand and of course the Grampians and Arapiles. Sal's other outdoor interests include scuba diving and mountain biking. 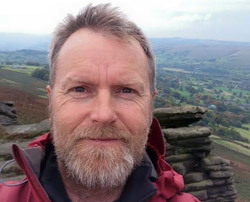 Some of his escapades include riding Mammoth Mountain, walking the Huayhuash with British Mountaineer Simon Yates, completing his Technical Mountaineering Course (TMC) in NZ and learning how to skydive. Mike Wasley has been around a bit. He has lived in Whistler, Chamonix, near the sea cliffs of Cornwall, the Pyrenees, and has now settled in Buxton. Having worked in the outdoor industry as a guide on rock, snow, whitewater, and as an educator-trainer, Mike has a deep sense-of-place for most of Victoria's special destinations. And, while not climbing frozen waterfalls or ski-mountaineering any big peaks for the time being, as he is putting in some quality parenting time: on his days off, you might spot him skiing around Mt Hotham, Lake Mountain or the High Plains. Or, in other seasons, climbing at his local crag (the Cathedrals) or biking the Buxton Trail. 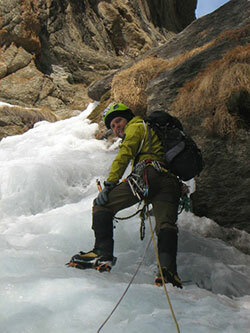 Mike also has a passion for randonnée skiing and all facets of climbing. Anna has always loved the outdoors, having grown up on a property outside of Melbourne, riding horses and building tree houses. She still rides competitively and takes on the odd challenge like the Oxfam Trailwalker and the Gran Fondo. Anna's outdoor achievements have been rather serendipitous. Having stumbled into mountaineering on a solo trip across Ladakh in 2009, she swore that her foray up to 6000 metres would never be repeated. Fortunately for us, she has conveniently forgotten that resolution on countless occasions and has now climbed many peaks in Nepal, New Zealand, Europe and Alaska. 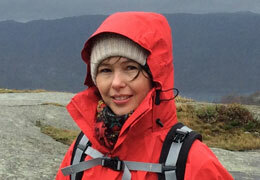 Anna joined Bogong 2014; she loves helping people get the best gear to realise their intrepid travel plans. Read about Anna's experience climbing Ama Dablam. Anja was born in Norway and caught the travel bug at a young age. Her father was in the Norwegian merchant fleet, taking her to South America, South Korea, Germany and many other countries. Upon finishing school, she travelled to the high Arctic and Svalbard Archipelago where she spent a winter working, skiing, sled-dog minding, as well as exploring by boat, kayak and snowmobile. She has now moved to Australia to work and travel and has become fascinated with australian bush, desert and indigenous culture. Her continued hobbies are rockclimbing, hiking, cycling and camping. And, she has now completed a degree in natural systems management and is currently undertaking research honours in palaeoecology. Originally from Chile, Francisca (Fran) loves nature and the outdoors. She began skiing when she was three years old, and worked for 10 years as an alpine ski instructor in Chile and the US, and became a telemark skiing addict. Fran then decided to work as a trekking guide in Chilean Patagonia. Her guiding experience in Patagonia helped her decide to pursue a Masters Degree in Biodiversity Conservation, which changed her life forever. 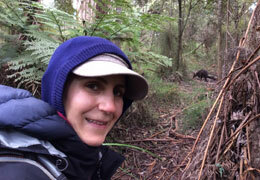 Today Fran is devoted to biodiversity conservation and the outdoors. She came to Australia first to complete a Master of Environment and has remained living in Melbourne since then. She loves the Victorian weather and biogeography. She says it is quite similar to the South of Chile, where she has always dreamt of living. 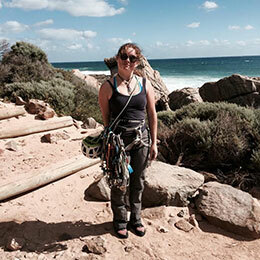 Fran loves rock climbing, camping, trekking and birdwatching around Australia’s national parks. She loves working at Bogong as she is able to share her passion for meaningful tourism every day. If you need a hot tip on travelling around South America, and Patagonia in particular, Fran is always willing to help! Georgia was born in the Northern Territory, where her parents were teachers in an aboriginal community called Wadeye. From age three until she was 20 years old, Georgia lived on the other side of big red sand, in Perth. She moved to Melbourne in January 2017. Growing up, her family went on many a camping trip each year, doing hikes along the Bibbulmun Track. But, throughout her time at school, Georgia was mostly a music nerd. It wasn't until she started climbing that she really got into the outdoors. Now, she's mainly a climber. Having climbed for four years, when it comes to her favourite discipline, she goes through phases: pinballing between bouldering and trad climbing. She's done a lot of climbing around Western Australia, but probably her most notable pursuit was driving across the Nullabor to camp in the Pines at Arapiles for three months. As such, she's always happy to have long chats about how great Arapiles is (remember that, if you catch her in-store). Georgia's other interests are playing the flute and guitar, and just laughing a lot and being hilarious (she told us to put that bit in). She's also currently studying biochemistry at the University of Melbourne. 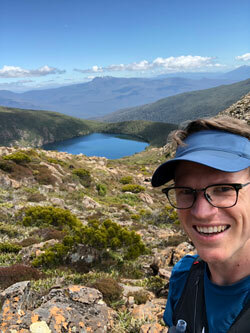 Hailing from Melbourne's Bayside area, Peter's defining outdoor experience was as a 15-year-old, setting off with a school friend on a multiday hiking trip over and around Mt Bogong, Victoria. That trip taught Peter a lot about self-reliance and sparked his passion for solo multiday hiking in remote wilderness. At school, Peter studied art and design. At university he completed a Bachelor of Design and after that, worked as a graphic designer. Currently, Peter runs his own business as an architectural photographer, in addition to working at Bogong Equipment. In outdoor retail, Peter has over 12 years' experience. He has over 30 years' experience venturing into the wilderness. He's hiked in Tasmania, the Victorian Alps, the Blue Mountains and Scotland; trekked in the Everest/Gokyo Lakes and Annapurna regions of Nepal; skiied in Victoria, New South Wales, Japan and the United States; rockclimbed in Victoria and New South Wales; done a mountaineering/ice climbing course in Kosciusko National Park... as you can see, Peter is a well-rounded individual. He enjoys passing his knowledge and experience on to our customers. Born in Johannesburg, South Africa, Andriana has lived in Melbourne since she was five years old. Her parents were keen outdoors people, so Andriana has been heading outdoors since she can remember. She progressed from teeny, tiny hiking boots to normal-sized ones; and from baby backpacks through to carrying all her own gear. Over the course of her life, Andrianna has been hiking in the Drakensberg, western Tassie, Nepal and, of course, Victoria. 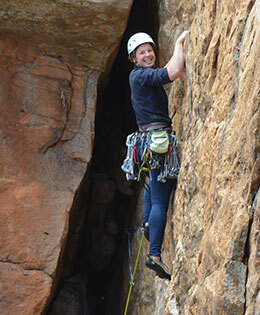 Recently, Andriana has gotten hooked on rockclimbing – trying to squeeze in as much time at Arapiles and in the Grampians as she can. Andriana applied to work at Bogong Equipment because she loves the outdoors and has always been amazed by the knowledge of Bogong's staff. Hearing it from behind the counter, she's now doubly so. She learns a lot during every shift and has found herself dealing with a new hobby – becoming a gear nerd! Heather is into hiking, trail running, mountain biking and climbing. She started climbing in 2011 while on a student exchange in Canada, where she developed a (totally unexpected) taste for run-out slab climbing, and is particularly keen on trad. Among her most notable climbing and hiking experiences are the Candlestick and other sea pillars in Tassie, climbing at Point Perp, Nowra and the Warrumbungles, hikes and climbs in the Blue Mountains, trekking half of the Camino de Santiago in Spain, and hiking around Mt Anne and the Overland Track in Tasmania. Heather is studying Medicine at the University of Melbourne. Fraser grew up in South West Australia. From a young age, his Grandma was very involved with the Bibbulmun Track, so he spent many school holidays hiking with her or helping with trail maintenance. After finishing school, Fraser began travelling; leaning towards a low-impact, minimalist style of backpacking. Travelling overland for a year from Singapore to Scotland, he then spent another year 'WWOOFing' and volunteering in Europe. Returning closer to home, Fraser spent four years working seasonally in New Zealand, managing a hiking lodge in the mountains of the South Island. There he used most of his time off on long tramping trips throughout the Southern Alps. During the off season, he continued to travel, backpacking in Asia and the USA. 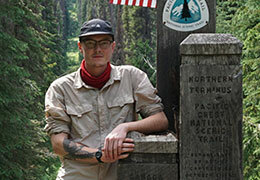 Most recently he returned to the US and hiked from Canada to Mexico on the Pacific Crest Trail, spending four months in the mountains, forests and deserts of the west coast. Fraser now lives in Melbourne where you’ll find him exploring the state, working on his new love of climbing and planning more long-distance hiking trips. Courtney was born and raised in the country town of Mildura, in Victoria's arid north-west. After finishing school, Courtney travelled to Canada, where she lived for two years in the heart of Banff National Park in the Canadian Rockies. There, she worked at an outdoor gear store and as a ski technician, and developed a taste for hiking. One of her most memorable hikes was to Big Beehive – a vantage point that overlooks all three lakes in the region, including the turquoise-coloured, glacier-fed Lake Louise. 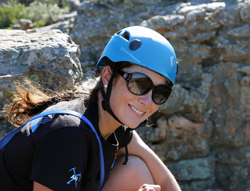 After returning to Australia, Courtney moved home for a few months before doing a Cert IV and Diploma in Outdoor Recreation starting in mid-2016. Nowadays, she works at Bogong Equipment and enjoys hiking, climbing, and looks forward to cross-country skiing in winter. Born in England, raised in Australia, Ian learned the ways of the wild when his father took him out fishing and hunting across Victoria's alpine areas as a child. Throughout the '80s Ian became a lighthouse keeper on remote islands in Bass Strait. In 2010, Ian embarked on a 10-day holiday to New Zealand, where he ended up staying for seven years. Working as a hut warden for the the Department of Conservation (DOC), Ian worked two-week stints living at 1700 metres in alpine huts with a walk-in of about six hours. In NZ, Ian was also employed as a conservation ranger for the DOC and a ranger for Christchurch City Council. He also worked on habitat restoration and endangered species programs for a wildlife trust. 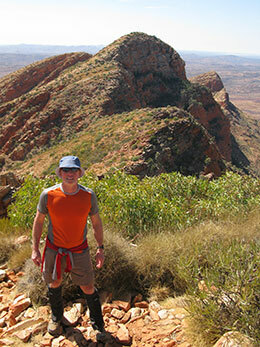 Ian has done many multiday tramps across New Zealand, Tasmania, Central Australia and Victoria. His outdoor pursuits mainly include bushwalking, canoeing and kayaking. Sam was born in rural Far North Queensland, in a town called Atherton. Growing up, Sam was a competitive swimmer: competing at local events, state and even national championships. These days, Sam is predominantly a trail runner and has run a good number of hills in Tassie (nearly all '60 great short walks')! Recently he's become curious about the world of fastpacking, and also is keen to tick off some trail events now that he's back running after injury. When Sam isn't on the trails, you'll often find him sitting with a book somewhere - he's really into philosophy. Sam has also been pretty seriously involved in the Melbourne avant-garde music scene for many years. Sam is working on a PhD at Monash University that engages with philosophy of music. Dan the 'Slackman' hails from Sydney. 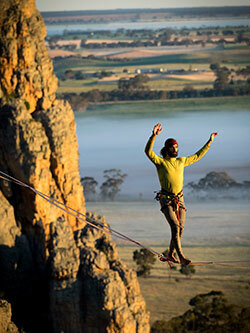 His passion is highlining, and he has over 50 sends, including a personal best of over 100 metres (distance) without falling. He's also crossed two lines above 250 metres (341 metres at the Blue Mountains Highline Festival 2018 and 280 metres in Coogee with three falls). He's also highlined in some spectacular locations: the Moai on the Tasman Peninsula, Moonarie, Mount Arapiles, Point Perpendicular, Royal National Park and several coastal lines within half an hour east of Sydney's CBD. When he's not uttering weird terms like "weblock" and "sag" (apparently highlining speak! ), Dan likes composing music, poi spinning, juggling and multiday cycle touring. He also loves giving tips and tricks on slackline technique, so if you're curious, catch him in store. In the late 1960s, Nick's parents helped build a ski lodge. So, at the tender age of two, Nick started skiing. Having skiied from an early age, he developed a deep respect for the mountains. In later years, this transformed into a love of long-distance bushwalking, telemark skiing, ski-touring and rockclimbing. But, Nick's main interest is long hikes. Getting away from it all, getting into the rhythm of walking in remote landscapes, is peaceful and reflective, he says. Over the years, he's walked all over Victoria, and been on countless trips to New Zealand, Tasmania and other parts of Australia. Now that Nick has two young children, he says the 'rules of engagement' have changed a little: these days, his walks are a lot shorter and less steep. But, he enjoys having new eyes through which to see the world. When Nick's not in the bush or helping with warranties at Bogong Equipment, Nick can be found tending to his garden. Chelsea was introduced to outdoors through adventurous school trips – the most memorable being two trips to Nepal in the early 2000s to walk part of the Annapurna Circuit and volunteer at Lamosangu School. Prior to this, she spent a week at Outward Bound in Sabah, Borneo, where she did her first overnight hike and paddled rivers on rafts fashioned out of sticks and tyres. Since then, her choice of equipment has improved: these days Chelsea enjoys whitewater kayaking (after spending a few days at New Zealand Kayak School), but her great love – aside from her husband, young daughter and three-legged cat – is rock climbing. Chelsea is of the “school of Arapiles”, and loves long, wandering climbs in the Wimmera and taking in views of endless yellow canola fields from lofty belays. 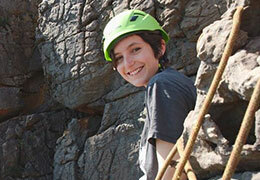 She is also a keen boulderer and can occasionally be spotted dabbling on easy classics in the Grampians. Chelsea is an editor by trade and has written for local and overseas climbing magazines. 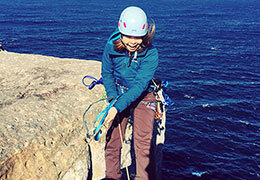 She also co-authored a rockclimbing guidebook to Cape Woolamai, which you can take a look at here. Read about Chelsea's 6 favourite locking 'biners. Read Chelsea's review of the La Sportiva Mythos. At one time Merv was a cross country ski instructor with the Australian Ski Federation, which later merged into the APSI. 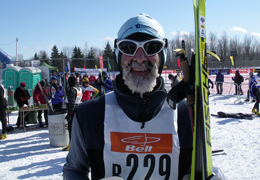 Cross country skiing really has been one of Merv's lifelong passions. In recent years he has skied the 15 long distance races in various countries around the world required to earn the Global Loppet Master Award. Merv was the 137th recipient of this award which is highly prized on the international circuit. In addition he skied two sets of ten international races to achieve two Gold Loppet Masters. Of the 20 Hoppets held at Falls Creek over the years Merv has participated in all but one of them - missing out due to illness. Merv's other interests include rogaining, mountain running and cycle touring. He has cycled south to north across Australia, through the Flinders Ranges and the Birdsville Track, as well as overseas. He has AT skied the Haute Route in Europe and walked the Australian Alpine Walking Track end to end! 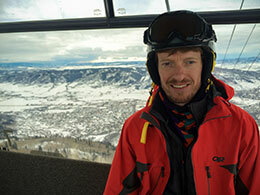 Read Merv's ski maintenance tips.